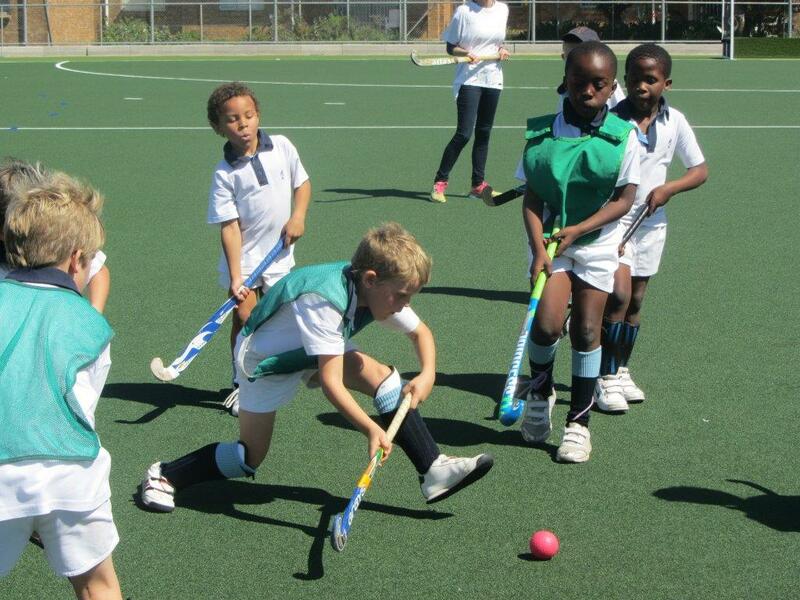 Hockey is one of our winter extra-murals and boys start playing the game from Grade 1. Grade 1 and 2 boys practice once a week on separate days. At these practices they learn the basics of the structure of the game and some basic hockey skills. Once some skills have been taught, the boys alternate between applying their learnt skills in mini-hockey matches and learning new skills during their practice sessions. At the end of each winter term we end off with a fun event consisting of internal mini matches in Grade 1 and Grade 2.